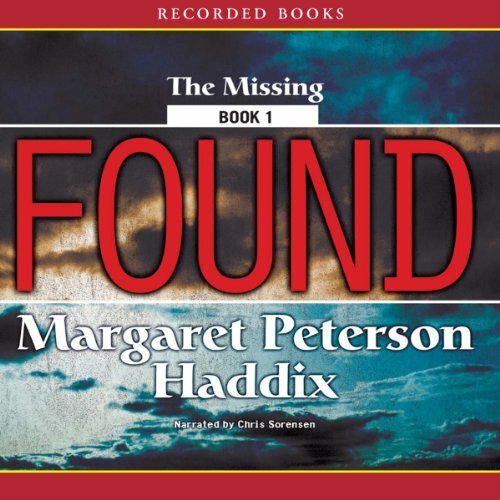 There's no doubt - Haddix knows how to craft a good story. She starts with a mysterious plane suddenly appearing at an airport, filled with 36 unattended babies. Then we jump ahead 13 years to these adopted children who all start receiving warning letters that "They're coming back for you." The FBI is also involved. The book is filled with cliff hangers that make you want to keep listening. There's a lot of dialogue and thinking - with less action than Haddix fans might be accustomed to. At the end, you realize that this book was written to set up a whole series to come. A reader could easily skip it and move on to book 2. What a slog. Uninspired story about kids by someone who doesn't know how to write kids. The narrator was terrible. Some of his voices were actually offensive. I noticed three times in the book when the wrong name was used for a character. Like the narrator received a copy of the book which had not been fully edited. Great book/ series though. This was one of the best narrated books I have heard! Great reading from beginning to end! Very interesting book as well. Having read the book years ago, I preferred the print version, just so I could go back a few times when my mind wanders. This was a good audio listen, though. I like time travel stories, so the entire concept was fun, but my son really liked the image of a plane full of babies!